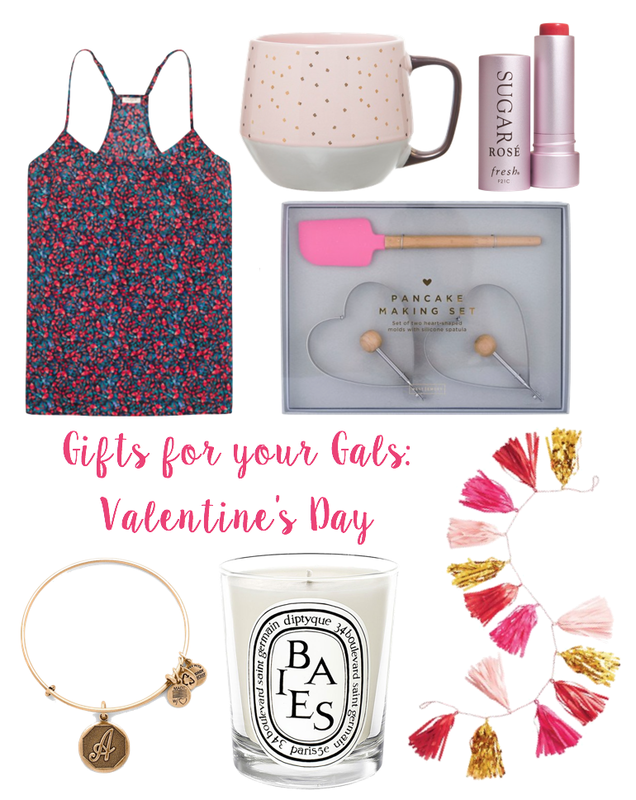 With Valentine's Day quickly approaching I thought it would be the perfect time to share some fun gift ideas! But these are not just any gift ideas, these are for your best girlfriends. The best tokens of appreciation for the people who love and support you all throughout the year! Don't forget to treat your best friend this Valentine's day, whether its simply a night out together or a cute little gift. And no matter your relationship status, celebrate the beauty of love around you. Plus how can you resist all the fun pink goodies and all the chocolate! That mug is so cute and I love the look of tassel garlands! You have such cute gift ideas! Have a great week!